KALISPELL, Mont. -- The Whitefish, Montana, Police Department says it is aware of the white supremacist website “The Daily Stormer” and its call for an upcoming “armed march” through the city of Whitefish, CBS affiliate KXLH reports. Top elected officials in Montana issued a joint statement Tuesday condemning “attacks on our religious freedom manifesting in a group of anti-Semites,” CBS affiliate KPAX reports. “Rest assured, any demonstration or threat of intimidation against any Montanan’s religious liberty will not be tolerated. It takes all Montanans working together to eradicate religious intolerance,” the statement reads. 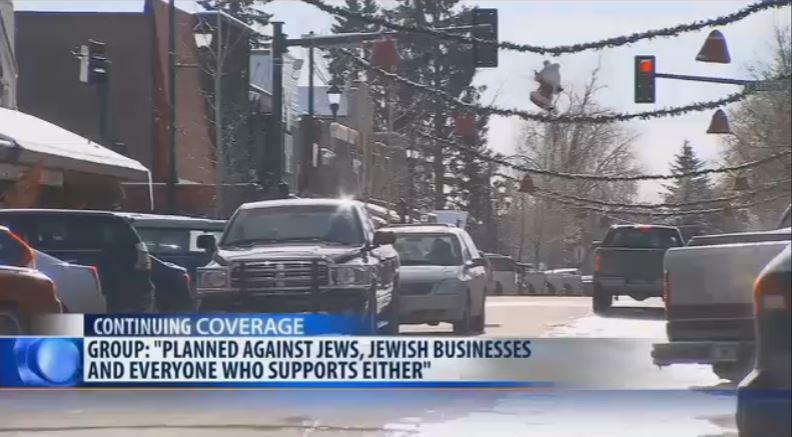 The statement was released following reports that a group is planning an armed march aimed at Jewish residents and business in Whitefish. It was signed by U.S. Sen. Jon Tester, U.S. Sen. Steve Daines. U.S. Rep. Ryan Zinke, Gov. Steve Bullock, and Attorney General Tim Fox. Anglin says he will gather more than 200 followers for the march, which he says will be held the second week of January. Richard Spencer, who runs the alt-right National Policy Institute in Washington, D.C., is originally from Whitefish and his mother still lives there. Earlier this month, she said she has been harassed for her son’s views and been pressured to move as Spencer has become more of a public figure. KXLH spoke to Detective Shane Erickson with the Whitefish Police Department who says they are aware of the situation. He says the department plans to release an update on the situation on Tuesday. Despite the call to march, one Whitefish woman is putting out a call for neighbors to come together and celebrate their differences. “As a community we can be loving and accepting of those differences, and come together and celebrate those differences and see the as a strength rather than a disadvantage,” said event organizer Jessica Laferriere. Laferriere is organizing a block party and welcoming folks to accept each other despite difference such as political beliefs, religion, ethnicity and sexual orientation. The free event will feature live music and guest speakers. Flathead Valley non-profit “Love Lives Here” says they support and agree with the mission of the event, which is to promote diversity and tolerance. “Love Lives Here is a community-based organization and we work and ally ourselves with people and projects that do fit that mission., When the organizers approached us several weeks ago to co-sponsor this event we were happy to, we felt it followed our mission exactly,” said Chairman of Love Lives Here Will Randall. Organizers say the event will take place at Depot Park in Whitefish on Saturday, starting at 10:30 in the morning.